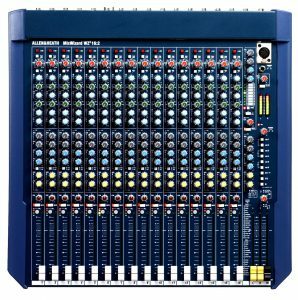 Soundcraft and Allen and Heath are both renowned for their professional quality and reliability throughout the professional audio world. 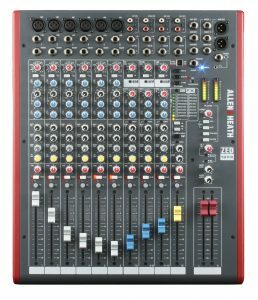 A very simple to use high quality mixing desk with basic features. 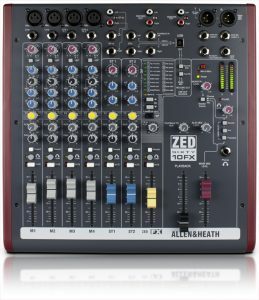 A great Soundcraft sound in this multi-purpose mixer with all the features you need for a medium sized event. Master section includes 2 Stereo Returns, LRM faders, pfl/afl on everything! 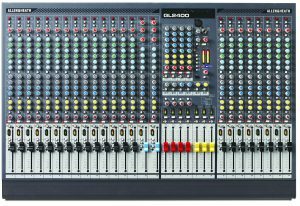 A renowned 24 channel desk which is popular with hire companies because of it’s rugged build and superb feature set. 7×4 Matrix with external input allows for easy additional monitor mixes or feeds for film crews etc. A fully digital desk. Legendary design heritage from Soundcraft, Dbx, BSS and Lexicon -brands every sound engineer trusts. Ipad controllable system. The SI Performer includes multipurpose rotary controller on each channel for ease of gain/pan adjustment (or user selected parameter). Layout is easy to learn. Motorised Faders, 8 VCA groups, 8 mute groups, Matrix buses, compatible with digital stage boxes, Snap shots, copy/paste etc. Plus lots of features that ease your work flow. Compatible with all Soundcraft digital stage boxes. CREATE YOUR OWN MONITOR MIX! Compatible with Android/Ipad monitor mix apps if Wifi router is connected.